Page 1 of 5 Register or Use the arrow to the right to read the next 4 page(s). I did not understand your question. a wheel at 888 gives me every day what kind of ticket. But when a lot of tickets accumulate from me, the wheel gives 0. And he is constantly for three weeks 0 ????? I guess only he knows that. I recently received two tickets from the wheel to a freeroll with a prize of $ 1500. I did not see money prizes on the wheel. I twice received a ticket for $ 33, and another three times a ticket for $ 5.5. In addition, I received a $ 5 bonus for casino games. All this happened in the last two months. Definitely lucky me. My history with the two daily spins is I win 1.5K freeroll tickets or no win. That's a long losing streak you are on maybe soon the wheel will bring some of those big fish tickets. Only once, because on the mobile App I had won lucky chips tickets, but they were never issued, neither with 888rep, so what the hack? I don't need to get upset by their kiddy stuff. They are not evenly weighted so you cannot base it the x is one of 9 spins or whatever. I always get the $1,500 free roll or nothing. I would love to get maybe the $16.50 ticket on there but never happens. What I would like to know though is do you stand as much chance as everyone else or is your spin result partly based on you rake you spend on the site. Thanks for you reply Matt. I am not keen with the $1,500 freeroll but am much more interested in that ticket so will keep spinning on the off chance! I play on 888 since august 2018 , but I managed to win at least once ( 33$ ticket ) everything else and ofc 95% of the time is the freeroll ticket. Can we confidentlt say that 888 rigs the spin wheel? I spin twice a day and at level 104 and my best win was a $1 blast ticket with no big fish tickets probably because I have won a lot of the big fish tickets through the freebuy freeroll tournaments. 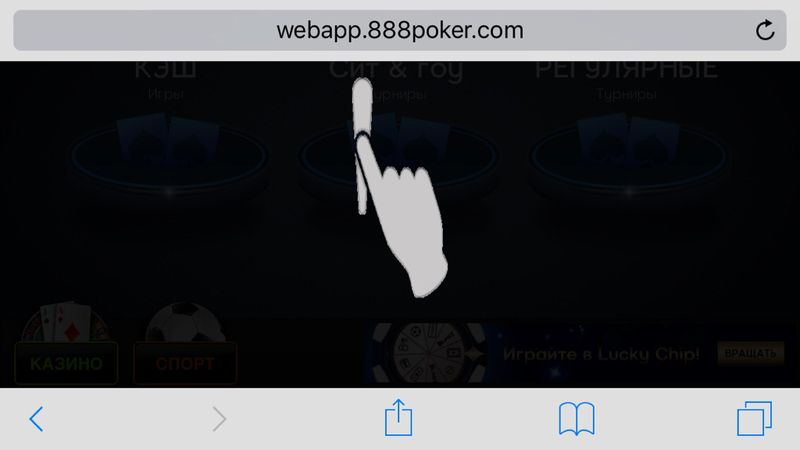 I think that winning the wheel depends on the amount of rake spent in 888 poker room. I don't know how you two are connected . Well, it depends on what tournaments are currently held in the room 888 poker . The wheel doesn't really work - I mean like roulette . Same for me , in most of times it s no win , and sometimes they give me 1500 lucky ticket. I think to win big , u must have a big bankroll, that way even if you win big tickets or casino bonus ... u won t think of using them . I don’t think there’s any question about it. Funnily enough I cant play this from a Samsung edge phone, it will not load the page. Means I can only hit one spin a day. The probability of these sectors is not the same, as well as in blast tournaments. I thought I was the only one, the truth is that winning more than just a ticket for 1,500 free is impossible, likewise I had weeks that only hit the "no luck" in that aspect 888 if it seemed to be programmed. 888 wheel favours the depositing players and high rake generators only. It is my experience with it because when I did not deposit anything this year, I was just hitting no win constantly but after depositing $10 the wheel has changed for me. I have already got $33, $5 and $16 tickets including few Blast tickets as well and an Evergreen Lucky chip tickets. Everyday i play with 888 poker and everyday i get a ticket to $1500 tournament (sometimes 2 tickets). On occasions i got $5/- free casino play and $5/- sports bet. Twice i got $5.5 big fish tournament tickets. I never got $16.5 or $33/- tournament ticket. Once or twice in a week when i don't play, i get "sorry. no luck today - try to-morrow". I think free spin wheel was designed in such a manner that if you play at 888 then you will be rewarded with tickets. No play, no reward. More you play, more higher valued tickets will be offered. Well, that is my opinion based on my observations. I may be right or may be wrong, i don't know. But i enjoy playing at 888 poker and i enjoy their big Promotional freerolls everyday. You answered the question I ask myself partly... You're on Level 24, but if you achieved it in a week, that means you're playing high limits. So guys do you think 888 is giving tickets according to what kind of limit you play? Ex. : if you play high limits, the wheel is going to give you higher buy-in tickets? I often play at 888, but apart from the ticket for 1500, nothing usually drops out. or may not give a ticket at all. Matt has said he is not big rake player so this would indicate he is not playing high stakes or not many games so according to that post it does not appear to be associated to rake. I can’t play the wheel of luck from my phone a second time after the computer. I tried to change the menu language but still there is no possibility. Does anyone else have such a problem ? The wheel has been good to me again today. Rolled another $16.50 bigfish ticket and a wild surprise ticket. I do not play higher limits at all. I play some NL2 zoom, but not as much as I used too when I was grinding out my bonus. Now that the rest of my bonus is expired (I only unlocked $20 worth) I dont play much cash games and very slowly am gaining levels. I do not know why the wheel likes to give me the big fish tickets.. I have won maybe 5 tickets in the past 2 months, 3-5.5$ and 2-16.5$. I hit the BLAST, Casino freebet and the free sport bet also from time to time. 4th hand I play and my stack is already 80% gone. I actually hit the $33 Big Fish ticket back in July - cashed it for just over $100 USD. For the last months all I get is Lucky chip tournament ticket(s) mixed with no wins And I'm playing poker there frequently enough. Got $16.5 once this summer, that's the best prize this year. My biggest win in this wheel ever there was $5 casino bonus that I've used in Millioner Genie (not sure it's called exactly like that though) and hit free spins from the first attempt. Won $600 from them, but after wagering $200 was left It was a year ago or so, I wasn't playing there back then for a half a year. I have found exactly the same. I do not like bonuses in poker that try and cross you into casino gambling. If I wanted to do that I would just stick to the lotto! I wouldn't be so fast to make a conclusion that probabilities of hitting each section are equal (despite the fact they have equal size on the wheel). You can ask their support though but I'm not sure they'll have to divulge the information even if they have it. I have the same issue but it's the phone. I have a curved edge phone and cannot do this at all. However I have a second Android phone it works fine from. The slot machine post above this is funny! Page 1 of 5 Use the arrow to the right to read the next 4 page(s).